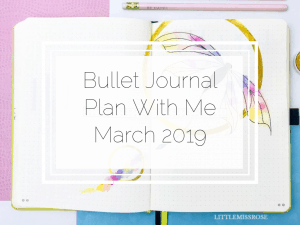 I’ve made a few small changes to my monthly set-up in my bullet journal this month, just to keep it interesting, and to try some new ideas I’ve seen out there in the Insta-world. So here we go…. For my welcome page I tried for simplicity. 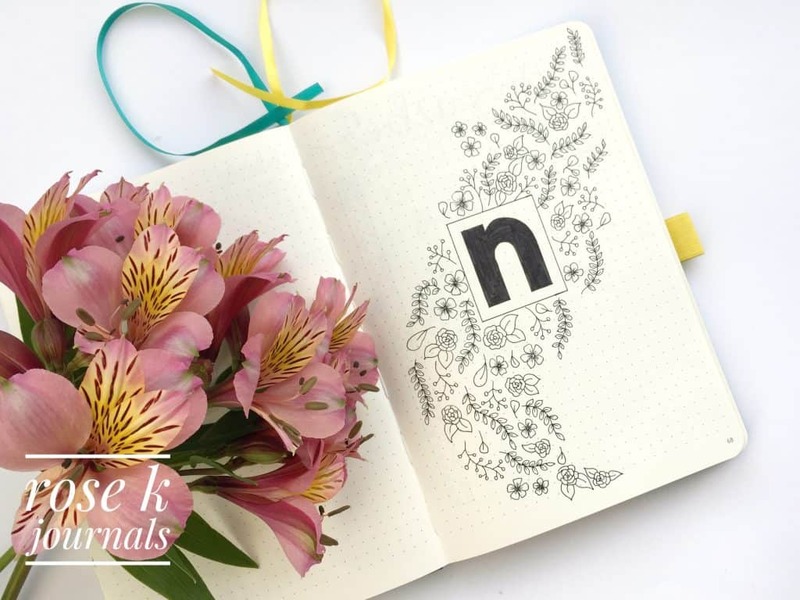 The “n” for November was drawn with a Staedtler pigment liner and filled in with a black Tombow Dual brush pen. For the flowers I used my favourite Pilot G-tec Maica pen. At the moment I’ve just left it black and white, but I’m undecided about adding a pop of colour by colouring in some of the flowers pink. 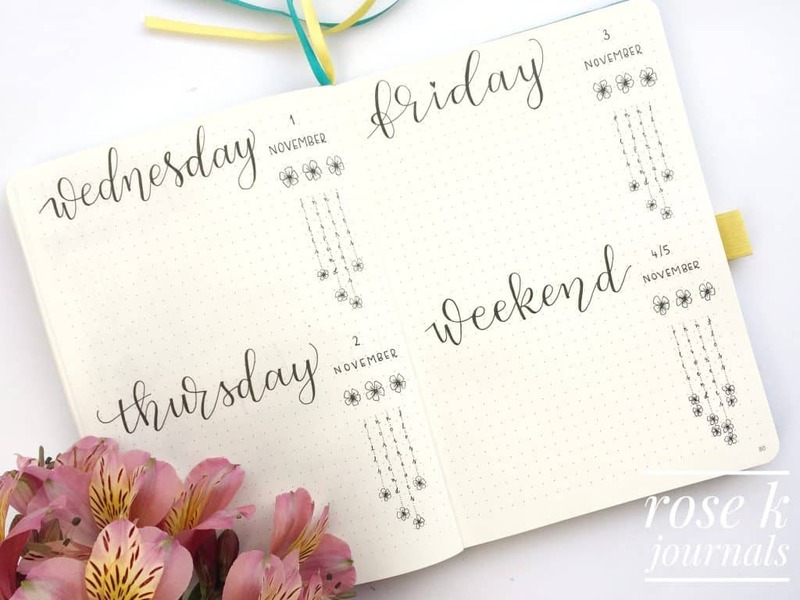 I went with a variation of the original monthly log this month, this was inspired by @viacalligraphy over on Instagram (Sylvia’s feed is super beautiful and if you’re wedding planning you need to be following her account). I may add a pop of colour by highlighting the weekend days, I’m still undecided. The quote and orchids were to just fill a page and practice my floral drawing. I didn’t want a page with monthly to-dos or reminders etc so thought this would be a nice fill-in. 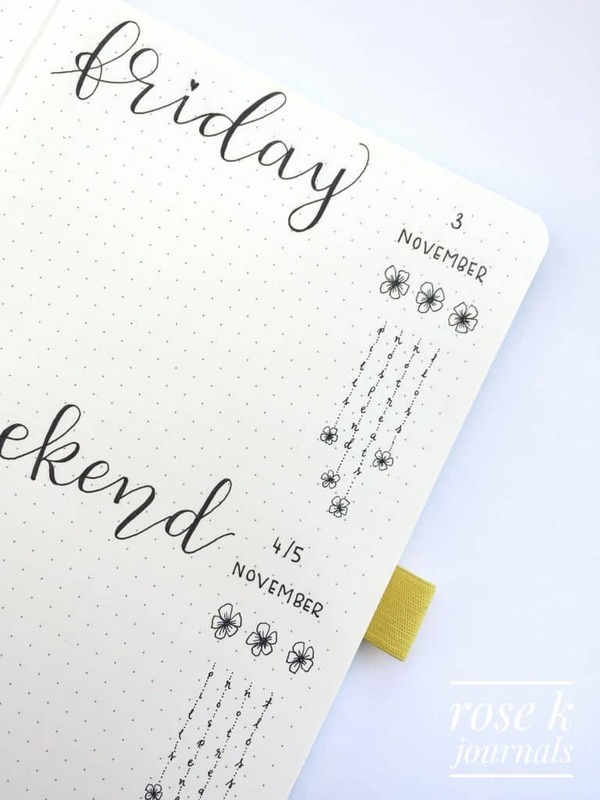 If you haven’t yet completed your November set up, I’ve created a similar layout as a free printable which you can find here. Here is my standard weight tracker and workout tracker that I include every month. I’ve just added some floral drawings to create some interest. On the weight tracker I track my weight, how well I ate, if I exercised and how much water I drank that day. 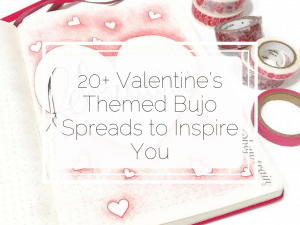 I do this by using red, orange and green hearts along the bottom of the tracker during the month. This gives a quick visual indicator of how good I was. I aim for mostly green hearts. The workout tracker on the right hand side will be coloured in with the type of activity I did on the corresponding day, a colour key will develop underneath it as I go. Next I have my meal tracker where I note down what our evening meal was and who cooked (usually me!). On the opposite page is my expense log where I’ll write down all my personal expenditure as it happens during the month. 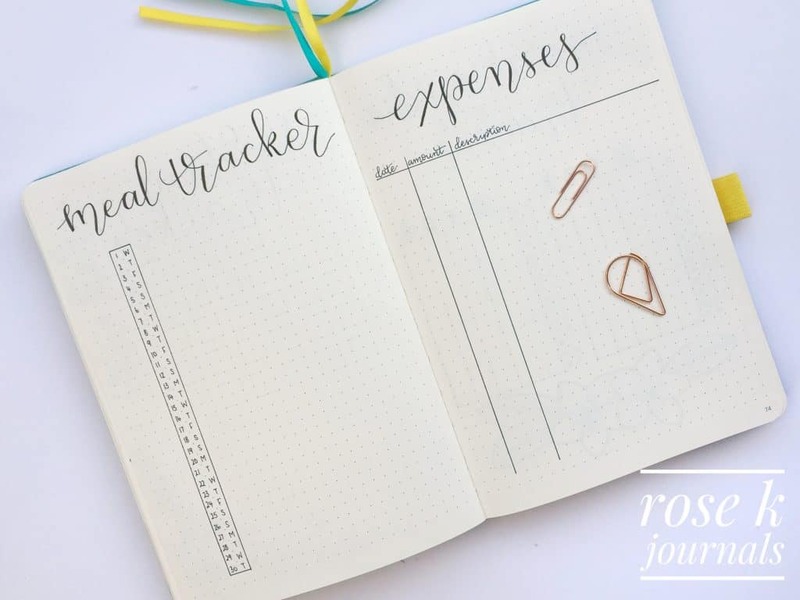 This helps to keep me accountable and makes me think before I spend! 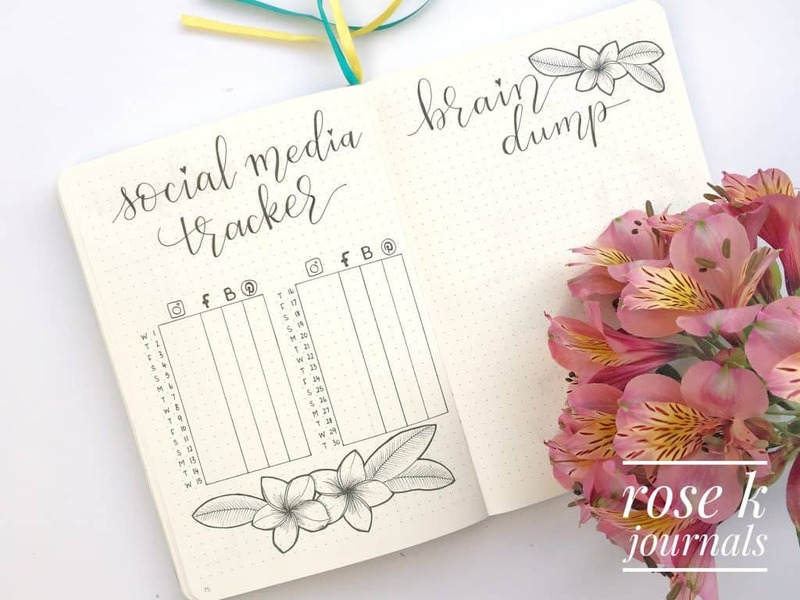 My next page is a social media tracker where I note down how many followers, likes, subscribers I have on Instagram, Facebook, Pinterest and for this blog. If you’re not following me on any of these sites, come and join me! On the opposite page I’ve created a brain dump page for all those random thoughts and to-dos that don’t really have a home anywhere else in my journal. 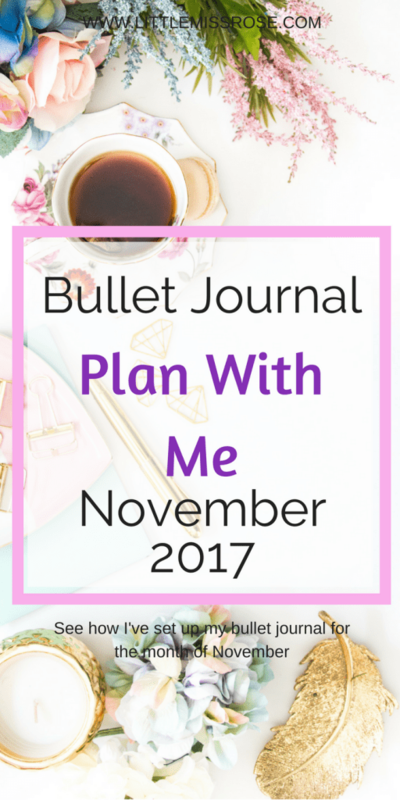 This month I skipped my usual gratitude log. I found that some days I needed more than one line to write what I was grateful for. Instead, I plan on writing a few lines a day in my weekly log. 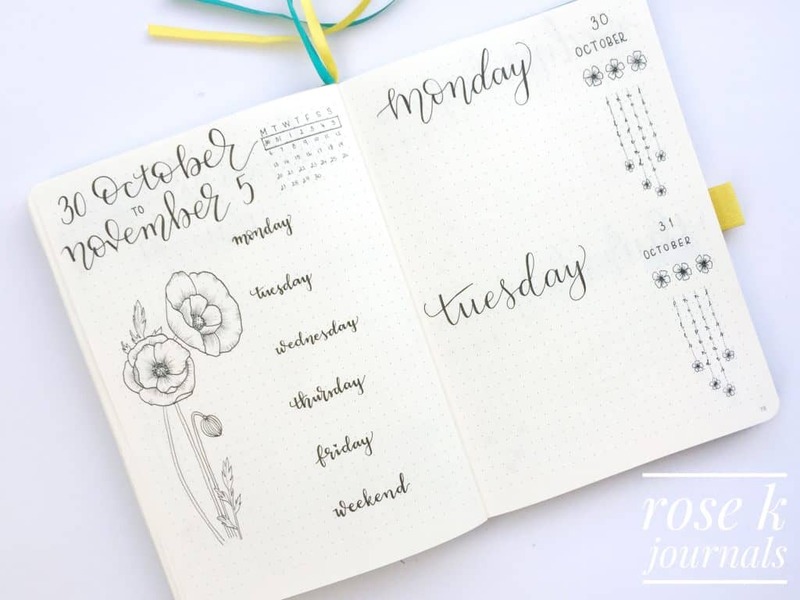 Here for my weekly log I’ve created an overview page where I’ll write down scheduled appointments or tasks for the week. 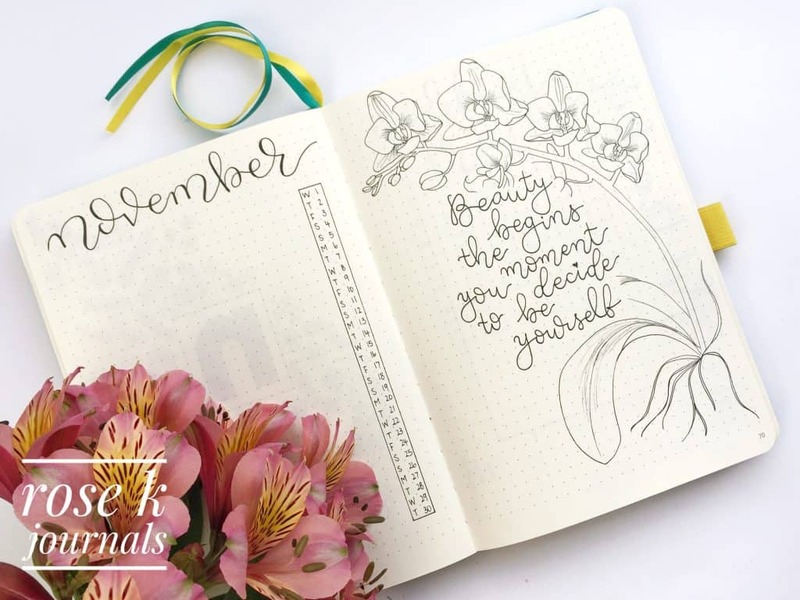 I’ve added a mini calendar for quick reference during the week and decorated with some more floral drawings. All my headings are done with faux calligraphy using a Muji black gel ink pen. Different to last month, instead of having all the days of the week on a double page spread, I’ve set out my week with two days per page, this was inspired by @planwithady, you should check out her instagram account, it is stunning and one of my favourites. I wanted to use this layout because I want room for my gratitude/lines per day under each date. 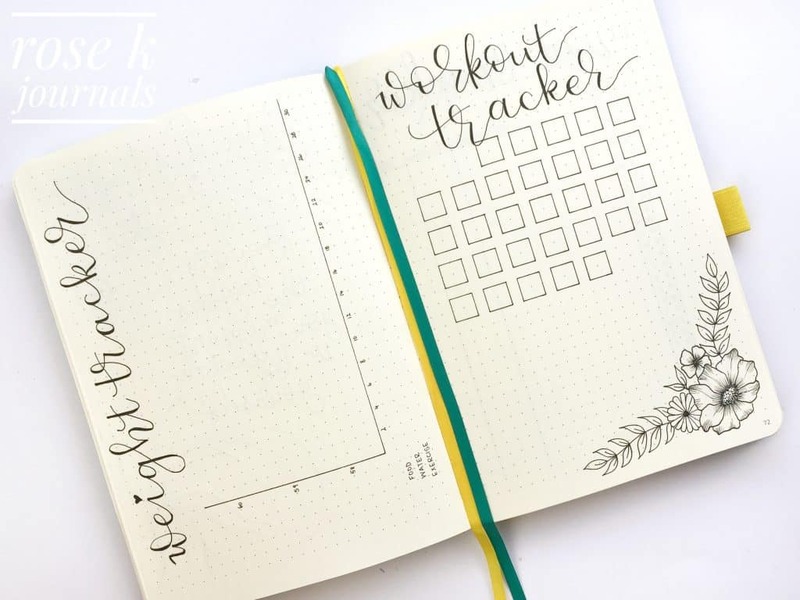 I’ve also added little habit trackers for each day rather than having one for each week. The three flowers are my water trackers. I try to drink 3 bottles of water a day and I’ll colour each flower as I finish a bottle. The smaller flowers will also be filled in once I’ve completed the corresponding “habit”. These are written vertically and say “pills”, “no spend”, “no treats” and “floss”. I used flowers as trackers this month. This whole monthly set-up was completed using black pens only. I only did faux calligraphy instead of using brush markers for brush lettering. 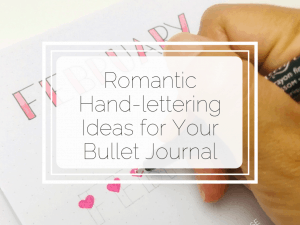 It just shows that you don’t need expensive supplies to create something functional and pretty. So, that’s me all set up for the month, now I’ve just got to fill in the blanks! 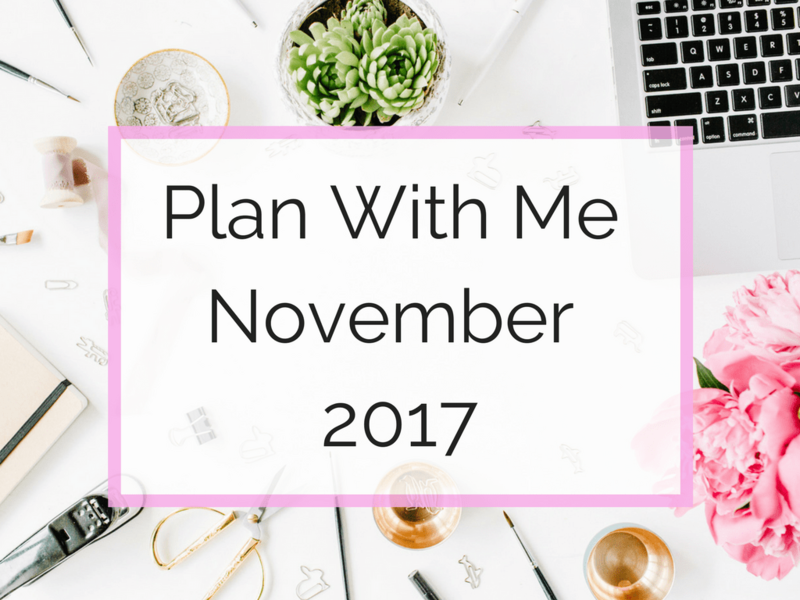 If you have any questions about my November monthly set-up, or any other questions or suggestions, please feel free to contact me here. 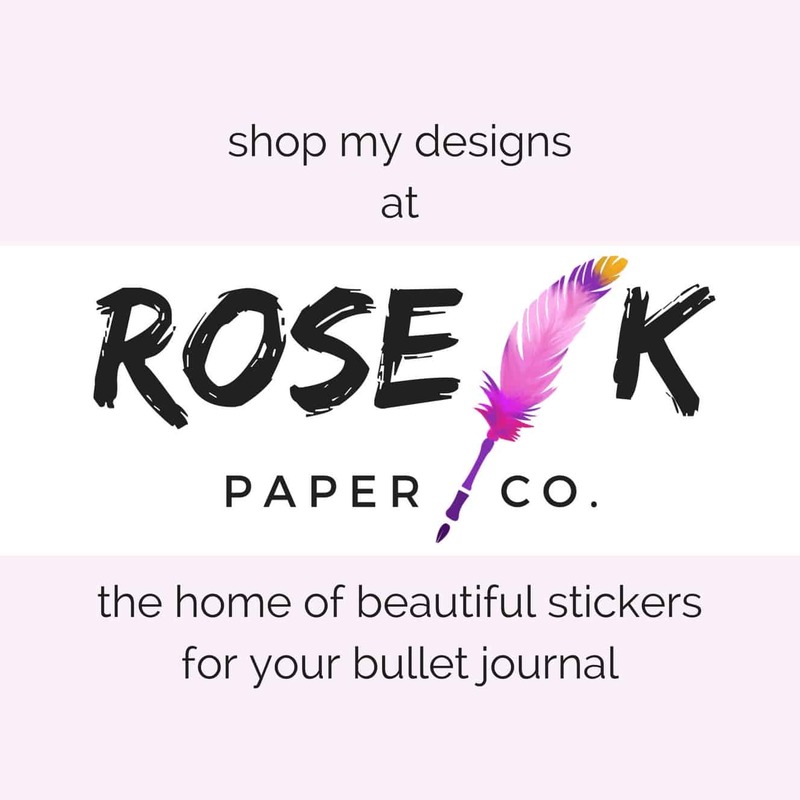 I’d really love to hear from you!